Fingers is a culinary art collection designed by the Italian designer, Marcantonio Raimondi Malerba. Made by hand, all the pieces from the range have their own story, as well as unique features. Their design inspired by antiquity, as well as the unique features specific to each one therefore grant them a strong added value. 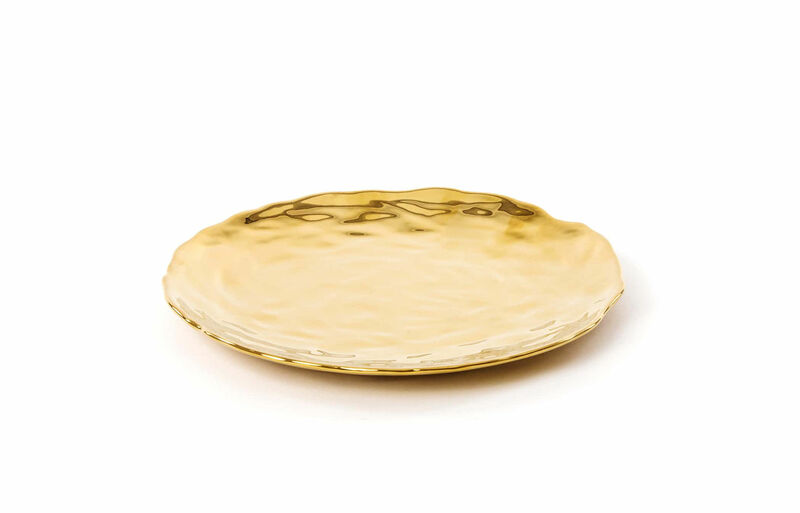 This completely golden coated dessert plate is made from porcelain. Allowing fingerprints in relief to be seen through it, Fingers has an absolutely unique retro touch. This quirky visual effect gives it a look that is both chic and completely original! Surprise your guests with the different products from the collection by creating an exclusive and unique table.